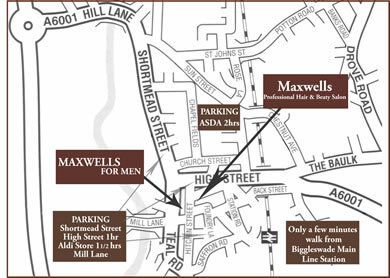 Your comments are all-important to us if we're to maintain our levels of customer satisfaction and the standards Maxwells For Men. Whether you're from Biggleswade, Bedfordshire or further afield, we'd love to know what you think of our service. If you'd like to contact us at our hair salon about any of our hairdressing services, please feel free to use the form below. Alternatively give us a call on 01767 313702.